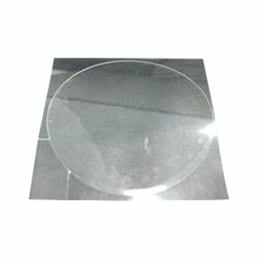 OSID Emitters are equipped with an acrylic lens and are therefore not normally prone to condensation. However in some extremely moist environments, condensation may nevertheless occur on the lens. Slow forming condensation can produce an unacceptably large loss of signal. To prevent that from occurring, the Emitter lens can be fitted with an anti-condensation film. The film can be quickly and easily applied to the lens without the need for special tools or adhesives. The film prevents condensation from forming and keeps the lens clear. Note however that the film causes a 10% reduction in maximum detection distance. A damp cloth can be used to clean the film if it becomes contaminated. The combination of the film and the algorithms in the Imager offer a cost-effective solution for condensation susceptible areas. The OSID Imager has a built-in heater and the film should not be used on Imagers.